Our Raja Ampat Ultimate diving adventure, takes you to some of the best diving in the world and to the largest marine national park which consists of over 1’562 beautiful tropical islands and gets its name, the 4 kings, from the 4 larger islands, Batanta, Waigeo, Salawati, and Misool. It is acclaimed to be one of the best places to dive, due to its location, in the heart of the Coral Triangle, berth of the underwater life. The reefs are covered with colorful hard and soft corals, and the diversity of the marine life is the greatest on earth. From the pygmys, nudis and other critters to the large pelagics to the schooling fish, come and enjoy your best dive adventure on board of La Galigo. Cruise itineraries are customized by our experienced dive pros to ensure the best possible dive experience taking account of the sea conditions, weather, monsoon, currents and the dives are planned to see the best of the local marine life. Here is a small selection of the most popular and well known dive sites that we like to visit in the Raja Ampat area. Blue magic is another of the signature Raja Ampat dive sites. This dive site always holds a special place in our hearts for us here at La Galigo, as this was the first dive site in Raja Ampat that we dived together as a company back in 2015. We drop into Citrus Ridge on the north east corner of Yanggefo island. The site is dived from west to east keeping the reef on the right hand side. As soon as you are in the water you will see that this reef is absolutely exploding with colour. Bright purple and orange soft corals dominate this site along its gentle slopes. Yellit Kecil (Small Yellit) is known for the soft coral growth and impressive bommies at the shallower spots along the ridge. 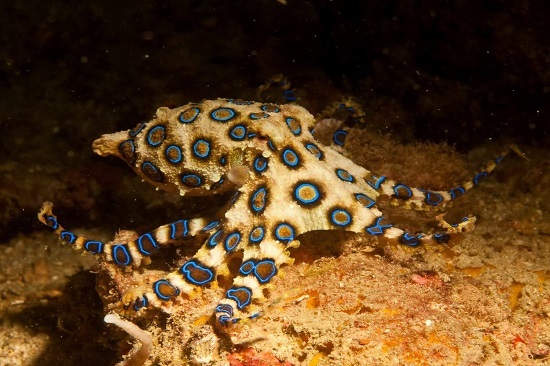 This spot is great for both a day dive or a night dive. 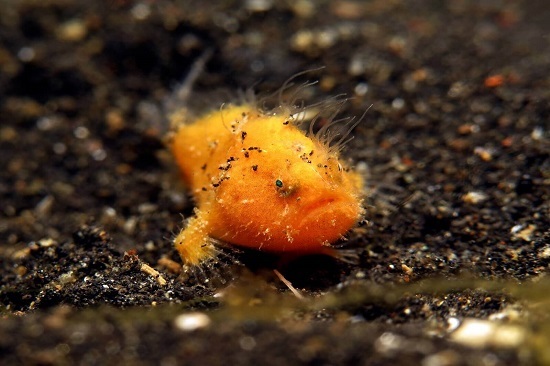 Pay particular attention to the smaller things on this small island, there are good macro photography opportunities to snap some frogfish. Farondi island in Misool’s north has a great little dive site called ‘Goa Farondi’ (Farondi Cave in Bahasa Indonesian. This dive starts plunging into a shallow reef on the north side of the cave. 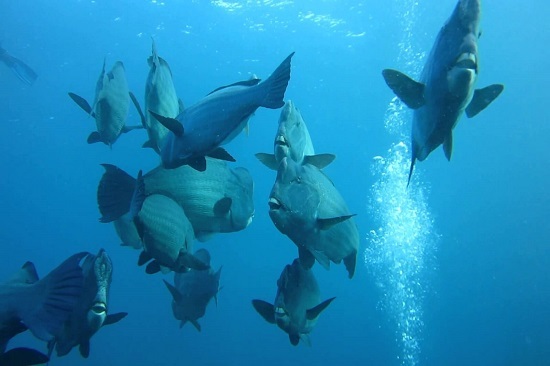 We often see groups of up to 8 giant hump head parrot fish at the drop in point before we even take on the cave. Tank rock has a large sheer sloping wall with more of… yep you guessed it, those amazing underwater pinnacles that make the south of Raja Ampat so magical. This ridge can be dived on one tank and boasts a spectacle of colourful invertebrates and fish. Magic Mountain is one of the sites that just simply can not be missed in the south. The reef is submerged in the blue and must be found via GPS. When you drop down the first stage is a round flat reef at 8m. This first section has several large bommies that are a manta cleaning station. 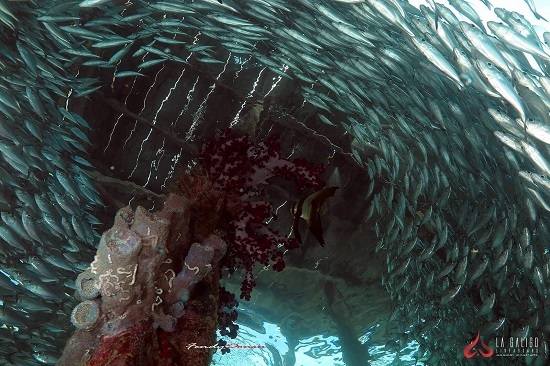 This site is the first of the “owner’s favorites” dive sites at La Galigo liveaboard. Dropping into the depths at this site, divers are confronted by two giant pinnacles rising from the ocean depths, with a small connecting bridge teeming with marine life. Manta Ridge is located between Mansuar Island and Airborei Island. 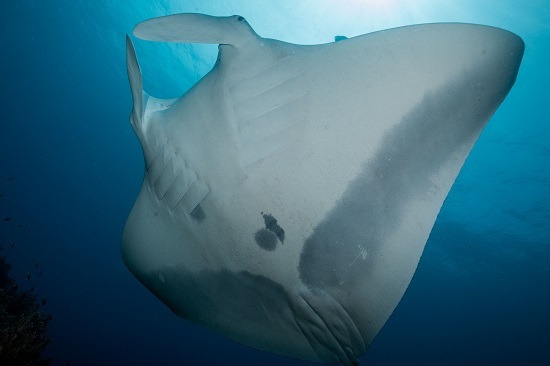 The dive site is a popular manta ray cleaning station that attracts groups of mantas. Thirty have been counted on one dive but five or six is more common. Some have wing spans of four metres across and are accompanied by cobias. This dive site shows that Raja Ampat does not only have big stuff, as you can encounter a sloping wall covered in a blanket of soft corals with vibrant colors. 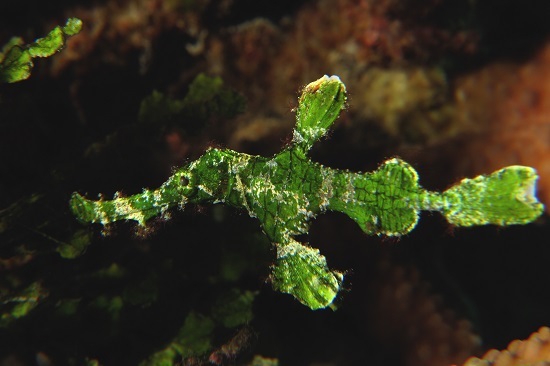 Some critters in this area are ghost pipefish, pygmy seahorses, nudibranchs, and flatworms. Sometimes, a night dive here can also be stunning. La Galigo Liveaboard and her crew are waiting to welcome you! All meals, non packaged snacks, coffee and tea, and post dive refreshments. Diving services including tanks, weights, smb rental, reef hook rental, air fills (non nitrox), guides and dive tenders. Hotel or Airport transfers to and from Sorong Harbour / Labuan Bajo on the first and final day of your cruise, from a local hotel in Sorong / Labuan Bajo. Book now, pay later:You can easily place your booking online. We will then hold the spaces for you and you can confirm with a payment later. Raja Ampat / Komodo tags or other marine protected area tags or anchorage charges. Port, Ranger and Marine Park fees. 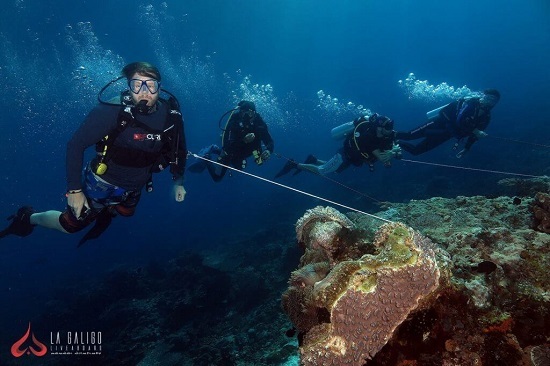 We charge the following additional fees to cover Indonesian national marine park fees, local area access fees, harbour fees, anchorage fees, and land based activities that require donations. • Raja Ampat: $180 per person per trip. • Komodo: $150 per person, per trip. • Wakatobi: $30 per person per day.Raja Ampat national park tags are valid for 1 year, you will receive your tag onboard the vessel. If you still have a valid tag, please contact us directly for a discounted price for this fee. (This is only available when booking direct with La Galigo). You will be required to bring your old tag along to show to the authorities when they board the vessel. Failure to do so may result in a fine of up to $5000 as dictated by the port authorities.La Galigo will organise all park fees for its customers, which are payable in local currency onboard the vessel. We recommend that for comfort you bring your own personal dive equipment, including exposure suit (wetsuit/ rash guard), mask, snorkel, regulators and gauges, BCD, dive computer, safety markers, torch, and fins. Dive equipment is available to rent if you require, please make La Galigo aware at least 60 days prior to departure on the ‘Guest data sheet’ if you require rental. • $35, includes BCD, Regulators, Wetsuit, Torch, Computer, Fins & Boots, Mask & Snorkel, Safety Marker Buoy (SMB) with reel, and Reef Hook. Raja Ampat is the bee’s knees in the world of scuba diving. It is quite simply the cream of the crop in the diving world! According to the Conservation International, Rapid Assessment Bulletin and their more recent 2006 scientific surveys, the marine life diversity in West Papua is considerably greater than all other areas sampled in the coral triangle of Indonesia, Philippines, and Papua New Guinea. Located off the northwest tip of Bird’s Head Peninsula on the island of New Guinea, Raja Ampat, or the Four Kings, is an archipelago comprising over 1,500 small isles, cays and shoals surrounding the 4 main islands of Misool, Salawati, Batanta, and Waigeo. North again, we will cruise to Wayag, where striking topography meets mass underwater diversity and current laden sloping walls. Surface intervals in Wayag can be as spectacular as the dives, dramatic jagged limestone cliffs rupture the surface, which towers over tiny dome-shaped rocks that scatter the areas turquoise waters. Cruising overnight south towards Gam, we visit some famous thriving reefs such as Mayhem, known for large schools of pelagic species. Groot Fam or Penemu are our next destinations. Here the reefs are thriving with the life carried from the falling tides of the Dampier Straight. From Groot Fam, we enter the Dampier Straight in search of giant manta rays, and schools of pelagic fish. Arborek Village visit. We will take you on a tour of the peaceful little island of Arborek. Stroll through the sandy streets and meet the friendly locals. The girls and boys of the village will get together to display their dance, playing their home made instruments and singing along. You can buy some hand made goods from the women in the village such as woven bags and hats. Bintang Lagoon visit and hike. We will take you to the stunning Bintang Lagoon or “Little Wayag” in central Penemu. This is a spot where you can get some great landscape photos of Raja Ampat’s famous emerald mushroom islands, that rise straight out of the sea. Locals sell an arrangement of handmade goods and refreshments at the base of the hike. This is also a great place for a spin around the bases of the limestone islands in our tender. Aljurie Bay pearl farm. Nestled in a beautiful little bay that makes great sunset scenes, is the Aljurie Bay pearl farm. We will take you on a land excursion here to see how the farm operates, in its own little slice of heaven hidden away from the world. This is also your chance to purchase some pearls straight from the farm. Mioskon Island beach BBQ and bonfire. We set up quite the show on Mioskon island for our guests. Swinging hammocks, bean bags on the sand, bamboo flares, a cozy bonfire and a delicious beach barbecue are all a part of what we do here. The crew will serve you drinks and play you live music as you kick back and relax. Watch out too for the thousands of bats that take off from the island every sunset. Wayag is the picture perfect image of Raja Ampat. The hills are green and numerous, the water is a bright azure and extremely refreshing. Hike to the top of one of the hills with us to get a once in a life time photograph of the lagoon below. Follow this up with a leisurely kayak around the calm waters of the protected islands. In the afternoon, we will visit the ranger station in the east of Wayag. The ranger station is home to a large congregation of black tip reef sharks that will swim right up around your feet, as you wade in the waters by the jetty. Children above 12 y. o. are accepted aboard La Galigo. During the cruise, children remain under the responsibility of their parents. Parents are required to ensure that the children respect all safety procedures, listen to all safety briefings, and do not disturb the peace and quietness of the other passengers, or the effective management of the cruise. To partake in any scuba diving activity with La Galigo, you must hold a certification from a recognised scuba diving society such as SSI, CMAS, BSAC, PADI or similar. It is the client’s responsibility, as a certified diver, to respect and follow the guidelines given by the La Galigo guides and instructors, and to follow the regulations stipulated by their certification agency. Clients are solely responsible to provide a diving medical statement or physicians medical dated within the last 12 months, certification card and log book. Ignoring the directions given by the guides, or not presenting certification card, log book or valid medical paperwork may cause a limitation or disqualification from scuba diving during the trip. 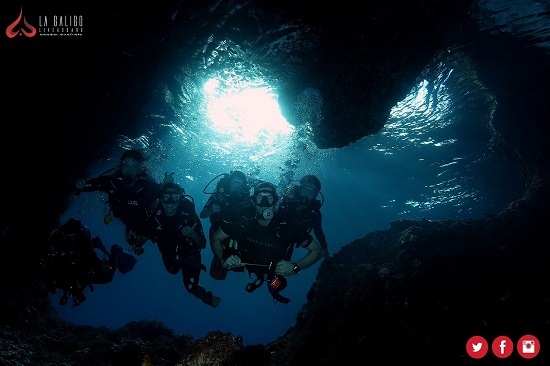 The divers accept their responsibility to be technically capable of participating in the activity of scuba diving and fully accept the risks associated. We reserve the right, for safety reasons, and at the discretion of the La Galigo guides, to refuse access to one / several / all dives if the diver does not have the necessary competence to participate safely. Above water, the topography of Raja Ampat North is characterised by lush green jungles covering rocky limestone karst cliffs. Below water the area is known for stunning submerged pinnacles in the south, and fantastic walls and slopes in the north. Average depths of the sites is normally around 23m with the most shallow sites 18m and the deepest 30m. Some of the hazardous wildlife to look out for in Raja Ampat include scorpion fish, lion fish, blue ring octopus and cone shells. Another hazard, particularly to those of you coming from the cooler climates, is dehydration. Don’t get too carried away, remember to keep them fluids up. Currents can be particularly strong at dive sites such as The Passage, Kaleidoscope, Eagle Rock and Changu, just to name a few. Sites such as Cape Kri, are also known to have down currents regularly experienced. 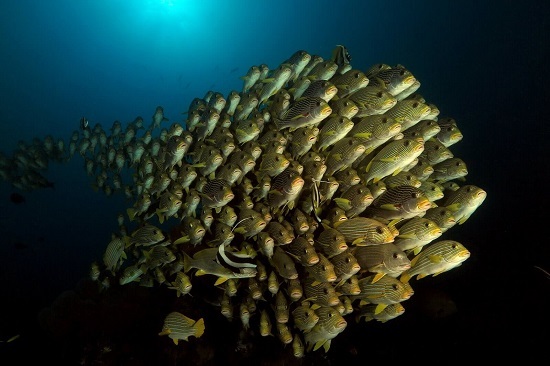 For this reason we recommend that diving in Raja Ampat should be undertaken by experienced divers. We honestly could not choose between a macro camera set up or a wide angle camera set up for Raja Ampat. This area is absolutely teeming with life, which makes fantastic subjects for both styles of photographers. Expect to see Oceanic Mantas, Reef Mantas, Reef Sharks, Tuna, Trevally, Jacks, Barracuda, Barramundi, Sweet Lips, Snapper, Damsel Fish, Butterfly fish, Angle Fish, Batfish, Trigger Fish, Nudibranchs, Octopus, Flamboyant Cuttlefish, Robust Gosht Pipefish, Tasseled Wobbygong Sharks, Raja Ampat Walking Sharks, Denis Pygmy Seahorse, Bobtail squid… the list go’s on and on. We always recommend guests bring their own BCD and regs, as being comfortable in your own gear is priceless. We do however stock all the gear that is required for divers to rent a full kit. Most people are comfortable enough in a 3mm shorty wetsuit, as the water temperature very seldom changes from 28-29 degrees celsius all year round. Some people do prefer a full body wet suit for skin protection. We recommend that guests bring their own computer, to keep track of your dive data, some of our trips reach up to 40 dives. A great dive torch for our night dives is also a strong recommendation. Reef hooks and SMB’s are recommended due to the currents in the area, although we will provide you these safety devices free of charge for the duration of your trip if you do not have them.